IBM Informix Conference - Register Now! Register before October 1* to be eligible to win a digital camera or Show tickets (more below). Free certification testing for attendees, along with exam preparation and study sessions! IBM Informix Portfolio Future Directions information! One of 15 HP Digital Cameras - a $300 value. One of 2 pairs of tickets to the Tuesday 10/23 7:30pm showing of "O" (Cirque du Soleil) at the Bellagio - also valued at $300. Cirque du Soleil's first venture into aquatic theater has been seen by more than 2 million spectators and has earned the acclaim of journalists from around the world. The Chicago Tribune calls it, "as spectacular and inventive a live show as you're likely to find anywhere in the world right now." The Las Vegas Review-Journal recently honored "O" as the best production show for the second year in a row. *Attendees who are already registered have been automatically entered into this contest. All registered conference attendees are eligible, with the exception of IBM employees. Winners will be announced during the Tuesday, October 23 General Session. The IIUG Board of Directors Election officially closed at midnight, U.S. Eastern time, September 15, 2001. Rob Vorbroker, an outgoing BoD Member And Chairperson of the Elections Process, is quickly working to certify the vote. The new IIUG Board of Directors will be introduced to the membership at the IIUG Annual General Meeting, to be held at the IBM Informix Conference in October, 2001. Thanks to everyone who took the time to vote for this year’s Board of Directors. 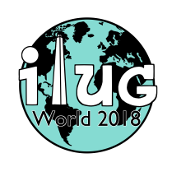 As mentioned in our August IIUG e-Newsletter, the IIUG Board has created the IUGGY, an award that recognizes individuals who have long contributed, beyond the call of duty, to the success of the Informix user community. Three such individuals will be presented with IUGGYs at the upcoming IIUG Annual General Meeting, to take place during the 2001 IBM Informix Conference (IIC), Oct. 21-25, 2001. The following people are among the first IUGGY nominees, and we’d like to thank all of them for their tireless contributions. If you have anecdotes that depict how vital these heroes of the Informix community have been to us, please send them to me FredH@IIUG.org) prior to Oct. 10th. During this time of transition, the IIUG Board needs to act more quickly than ever. When questions about the IBM deal and other important issues come up we need to quickly poll a representative sample of our membership, tabulate the results, and communicate that information to IBM Informix representatives. To this end, we have introduced the Advisory Council. This body will sit alongside IUGLC as advisors to the Board of Directors, ready to quickly respond to important questions as they arise. Please volunteer to join the Advisory Council. It won’t take much time, but it will contribute greatly to our effectiveness. For more information, go to http://www.iiug.org/advcoun. To join the Advisory Council please email malcolm@iiug.org. The upcoming IIC will include Ask the Expert (ATE) sessions to answer questions about current products and features, and Interactive Roadmap (IRM) sessions to discuss future product releases and enhancements. If you’d like to submit questions in advance to one or both of these sessions, please click on "Submit Your Questions" and enter your questions. (A "Submit Your Questions" link is also located on the www.iiug.org home page.) To ease our task of routing the questions to the appropriate forum please type ATE or IRM at the beginning of each question. For more information and to download the script, please visit http://www.iiug.org/util/survey.ksh. Survey results should be submitted directly to Martin Lurie lurie@informix.com. A new feature was recently announced within TechInfo Center. Customers with active Assurance or OpenLine maintenance agreements now have the ability to conveniently order product updates online. Customers need only enter their ship to, bill to, and product request. An order can be placed with or without a part number. A convenient link to the Product Availability Query enables customers to check the order ability of products on their platform prior to placing their order. Delivery options are either Electronic Delivery or CD-ROM, DAT and 8MM tape by ground delivery. Orders are fulfilled approximately 5 - 7 business days from the time of order to receipt depending on method of delivery. Customers access the Product Update Form from the Product Support link on the TechInfo Center left navigation bar: http://www.informix.com/informix/registration/techinfo/techinfo.htm. You may also want to sign up for email notification to remain current of new information and features within TechInfo Center.